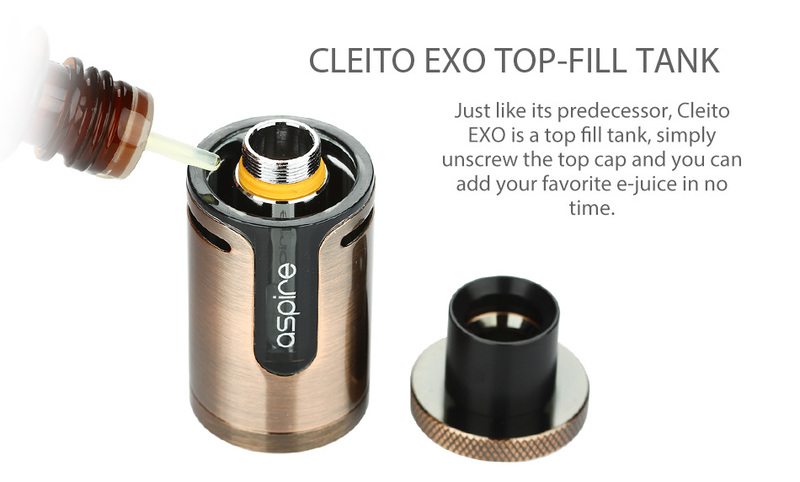 Aspire is employing the latest in flavor enhancing tank technology, Cleito EXO. New topside airway to bottom side chimney intake will take flavor and vapor production to next levels, as well as guaranteeing zero leaks. Top fill, easy to disassemble for ultra-low maintenance and convenience of everyday use. Utilizing the well-established Cleito coils, brings you storm clouds of flavor. As well as its simplicity in design and high vaping performance, this tank also comes with a range of colors: Stainless Steel, Black, Blue, Anodized Rainbow and Bronze to meet your different color preferences. 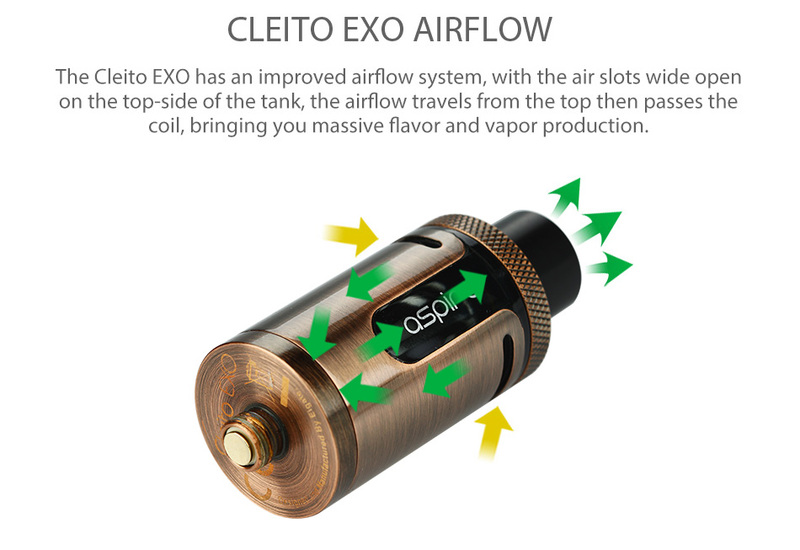 The Cleito EXO has an improved airflow system, with the air slots wide open on the top-side of the tank, the airflow travels from the top then passes the coil, bringing you massive flavor and vapor production. 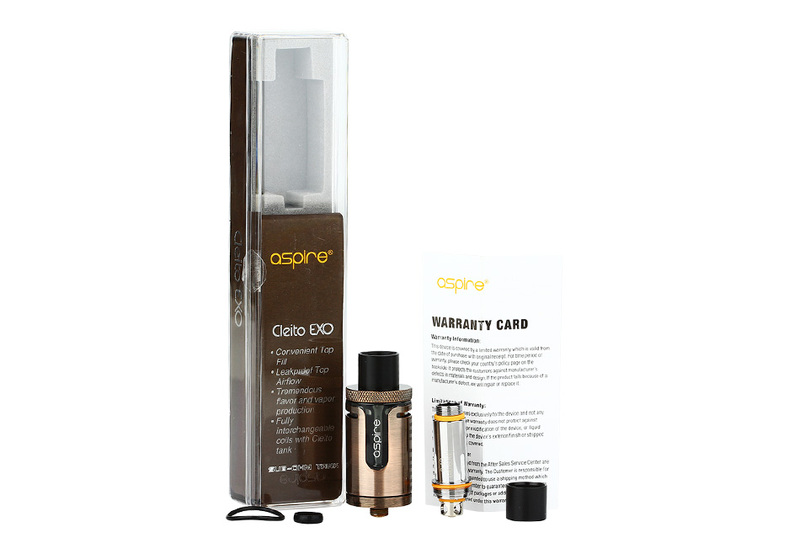 With its fully interchangeable coils with the Cleito tank just adds more convenience to your daily vaping. 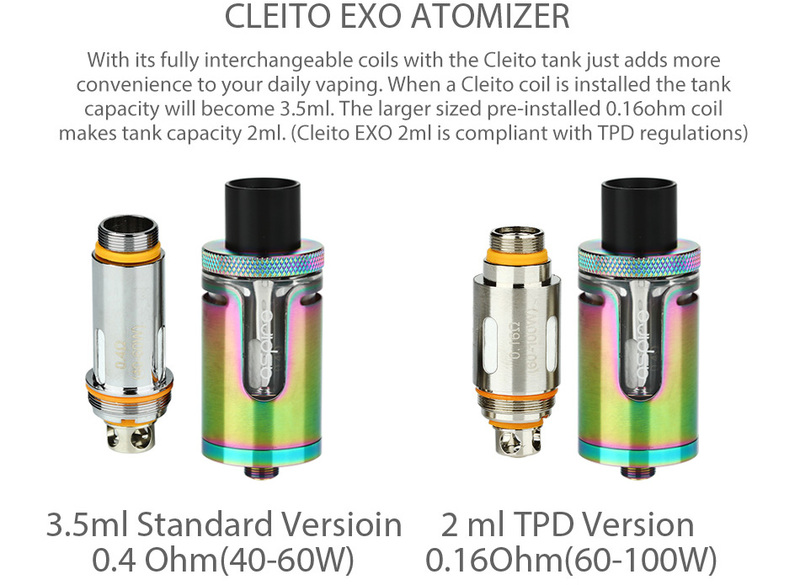 When a Cleito coil is installed the tank capacity will become 3.5ml. The larger sized pre-installed 0.16ohm coil makes tank capacity 2ml. 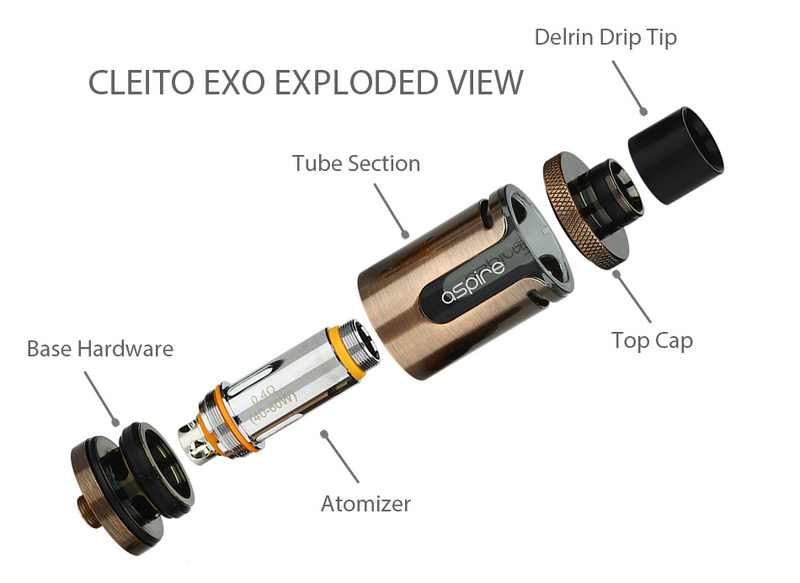 Just like its predecessor, Cleito EXO is a top fill tank, simply unscrew the top cap and you can add your favorite e-juice in no time.